This week Bob was being really nice to me and baking a big loaf of delicious banana bread. 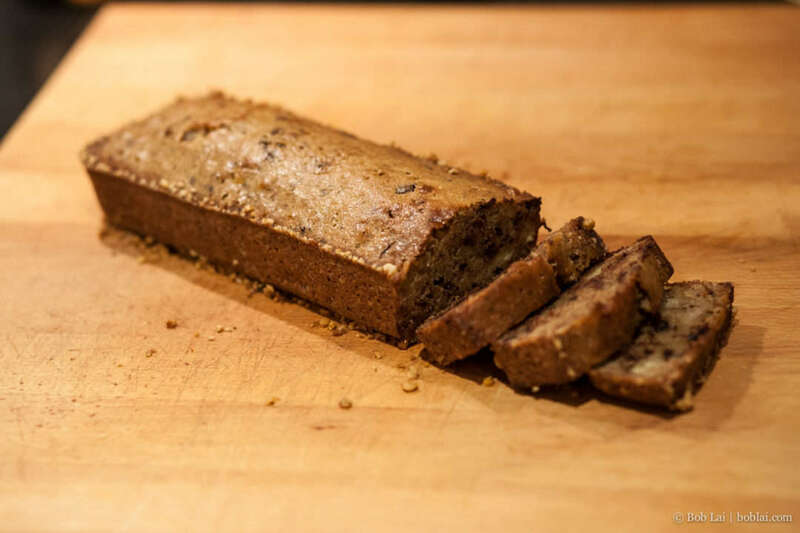 Banana bread is one of my favourite cakes because it is so moist and contains so many great flavours. 100 g walnuts, split into two equal size portions. 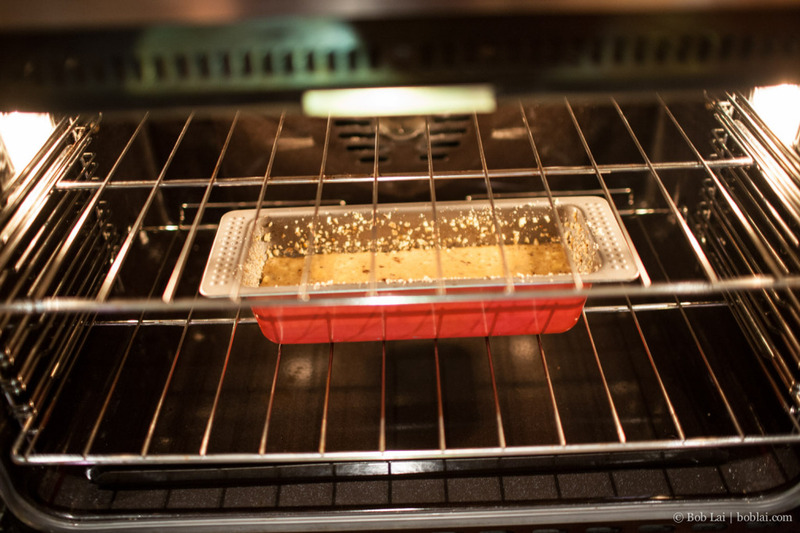 Heat up the oven to 175 C (350 F). Whisk sugar, vanilla sugar and eggs till light and fluffy. Add the baking powder and stir. Add flour and butter a little bit at a time and fold it together till you have an even batter. Mash the bananas, it is best to use really ripe bananas, and fold those in the batter along with chopped dark chocolate and half the chopped walnuts. Use a bread pan and coat with butter. Then sprinkle the other half of the walnuts into and swirl around till it is completely covered on all sides and bottom. Pour in the batter and bake for 45-55 minutes. To test if the bread is done, stick a toothpick into the middle and pull it out. When it comes out clean, it is ready.